..... couple of millions years ago. Super Multi Coated Tak 55mm, f/2, ISO 400, 1/50. Great capture, love the look on the monkey's face! 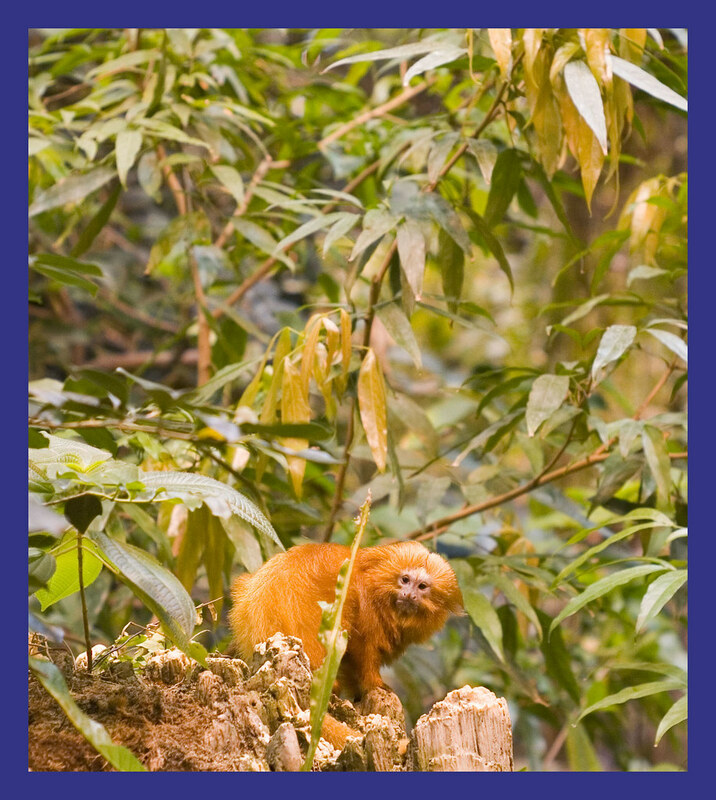 He/she is called Golden Lion Tamarin and it's smaller than a squirrel.